Carver, thank you for showing the narcissus with the visitor. 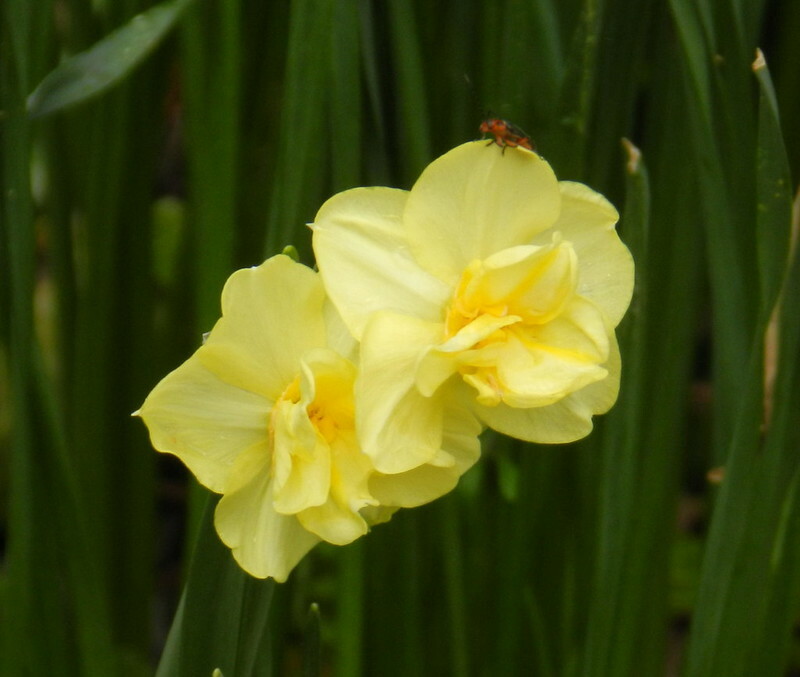 I had forgotten how lovely a narcissus is! Little red bug what are you doing in that pretty flower? ;))what a sweet picture. Gorgeous! They're not blooming here yet. The little visitor is pretty as well. Stunningly beautiful...and a visitor to add to the charm!